Nitrates and phosphates are vital nutrients for algae. 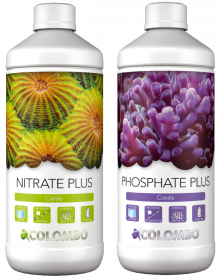 With the Colombo Nitrate and Phosphate test kits the nitrate and phosphate levels can be determined easily. If the levels are too high we have products to reduce the levels in order to maintain the desired values. 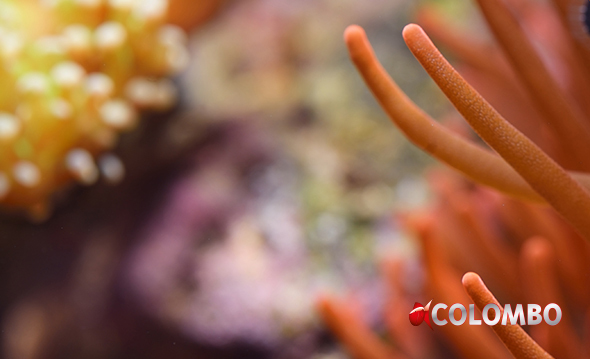 Nitrates and phosphates are vital nutrients for algae. 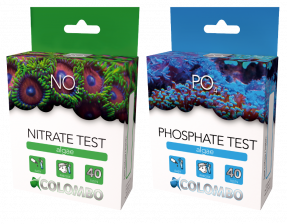 With the Colombo Nitrate and Phosphate test kits the nitrate and phosphate levels can be determined easily. If the levels are too high we have products to reduce the levels in order to maintain the desired values. 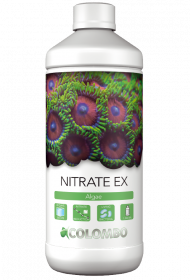 Nitrate Ex is the nutrient for the bacteria that decompose nitrates. These bacteria cannot develop well without this nutrient. Nitrate Ex must be added daily. After approximately 14 days the bacteria will have grown into a large colony resulting in a significant reduction in nitrates. Another option is theuse of Colombo NP Pellets, these pellets offers baceria similar nutrients in a different way. The NP pellets can be used i a fluid bed filter. With Colombo Phosphate Ex the removal of phosphates has become simple. With just one dose the desired amount of Phosphates will be removed instantly. Our unique formula offers unparalleled results! Just dose 1 ml of Phosphate Ex to remove 5 mg of Phosphates from the water done. It is that simple! 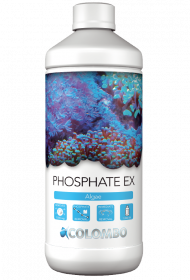 In aquaria with a lot of corals a shortage of nitrate or phosphate can occur, this can easily be supplemented with Nitrate Plus and Phosphate Plus.